It’s been said 2012 will be the year of Social Media in Business; for the meta travel site KAYAK, it couldn’t come soon enough. While some businesses are evolving or even transforming how they buy and sell products, many are fast becoming social businesses. In a Fast Company article by Drew Neisser, “Move Over Social Media; Here Comes Social Business” he explains the reasons why every company should be thinking about becoming a social business. According to Neisser, IBM is moving themselves and their clients “well beyond social media into a new era of collaboration, insight sharing and lead generation it calls social business”. It only takes one disaster, and the whole company focusses on getting social media right. So big news this week was KAYAK pulled some ads from TLC recently on a previously under the radar show called “All-American Muslim”. In fact, seems 65 other advertisers have done the same, including Lowes. None cited any reason for pulling ads, and so the logical media man assumes it was for underperformance. Advertisers advertise because they are in business. They want to reach customers and have a finite marketing budget to do it. KAYAK is a small entrepreneurial company, the type that we need badly in America. Unfortunately, KAYAK’s explanation came out in the form of a (likely) hastily written blog post from the CMO right out of the classic Gas-on-the-fire PR strategy. It starts with a typo (as I often do as well), and rambles just enough to contradict between backing a show for moral reasons and pulling out for performance reasons. I’ve written worse. (full disclosure: I know the CEO and have shared beers on occaision). intolerance, and newer Americans who include many religions. We get what America is about. For the record, we didn’t “pull” our ads. Our ads kept running on this program, but we have made the decision not to give TLC more money when the show returns in January. Unfortunately, this decision comes across as bending to bigotry. It also appears that we did not support people who deserve support as people and as Americans. For that, I am profoundly sorry. I should have communicated more clearly. We would not want anyone to think that we caved to hatred. I wish I could share some of the emails I’ve received from our team. They are also very unhappy with how I handled this. Please allow me to explain the decision. First, our approach to advertising decisions is to choose advertising based on who watches it, not the political leaning of the program. When we decided to give our money to TLC for this program, we deemed the show a worthy topic. When we received angry emails regarding our decision to advertise, I looked into the show more thoroughly. The first thing I discovered was that TLC was not upfront with us about the nature of this show. As I said, it’s a worthy topic, but any reasonable person would know that this topic is a particular lightning rod. We believe TLC went out of their way to pick a fight on this, and they didn’t let us know their intentions. That’s not a business practice that generally gets repeat business from us. I also believe that it did this subject a grave disservice. Sadly, TLC is now enjoying the attention from this controversy. I then checked the Florida Family Association website to see how this was portrayed. Besides the regrettable hatred, I also noticed that we weren’t listed. The email was a template, so people who sent thousands of emails seemed to be unaware they were sending it to us. The amount of vitriol in the emails was saddening, but I didn’t exactly feel pressured (not to mention we wouldn’t bend to such pressure). Many of the emails I’ve received expressing disappointment in our decision have been much more civil, and I applaud you for that. Lastly, I watched the first two episodes. Mostly, I just thought the show sucked. Based on our dealings with TLC and the simple assessment of the show, I decided we should put our money elsewhere. Apologies again. But then social and traditional media kicked in, picking apart the post and accusing the company of pandering to religious groups (who pointed out, correctly, the show had no bomb makers). This, to them, implied TLC was going light on Islam and they called for support to be pulled. Meanwhile, support was being pulled, likely for entirely different reasons- economics. But I think the big lesson learned is that businesses are beginning to wade into social media, and they have to get a handle on the tremendous benefits and swift dangers of living in that world. 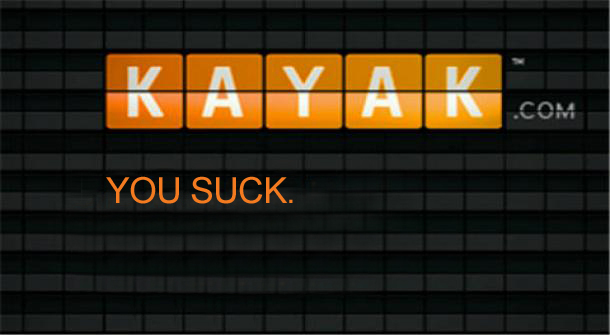 As for KAYAK, the best thing they can do in this Holiday season is to focus. Sure enough, this clarification just came out from CEO Steve Hafner. This is actually my first blog post ever. Frankly, I wish it was on a different topic. I want to respond to the questions and comments we’ve been receiving about KAYAK’s advertising on the TLC show “All-American Muslim”. We’re a small company with fewer than 200 employees, and we advertise on a lot of TV shows. We don’t have the resources to vet the content of each show. 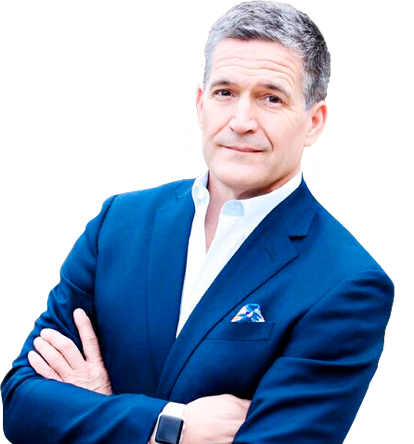 We also continually adjust our media mix – meaning we start, stop, and restart advertising on specific shows periodically. Our decision regarding advertising on All-American Muslim was in no way influenced by demands from third parties such as the FFA. We do try to avoid advertising on shows that may produce controversy, whether we support the content or not. We simply don’t want people to confuse our choice of where we spend our TV dollars with a political or moral agenda. Plus there are plenty of shows that are just as effective from a marketing perspective. We’re not bigots, and we’re not experts in TV programming. We are trying to make the world’s best travel site. I hope this blog post puts this issue to rest and allows us to get back to work. Simple, focussed and to the point. Good CEO reaction.